The International Tribunal for the Rights of Nature judged twelve international and domestic cases. Alberto Acosta, president of the Tribunal and former president of the Constitutional Assembly of Ecuador, decided to admit, expand and solve 12 cases. In all of them, the Tribunal identified the violation of the rights of peoples and nature. The cases were presented on the 5th and 6th of December in the Gran Hotel Bolivar in Lima. The Tribunal determined to expand the evidence, and even establish international commissions and special sessions.The judgments have been rendered having as a legal frame the Rights of Nature and the Universal Declaration of the Rights of Mother Earth. “The rights of nature must have a universal validity,” he said. The Tribunal has condemned Chevron-Texaco in Ecuador for using “inappropriate technology and causing irreversible damage”. It urges the corporation to proceed to a full compensation of the area, and accuses the State for allowing this exploitation. The Peruvian case of Conga was accepted and it was determined to appoint an international special commission to visit the area to collect more information. For the contamination in the four Amazonian basins (block 192), the Tribunal called for the creation of a special session in Peru for the case to be judged; that same judgment was rendered in the case of Bagua in Peru. After the concurring opinion of the judges, all Peruvian cases were accepted as threats of violation to the rights of nature. On climate change, evidence of the broad range of violations to rights of nature which are contributing to climate change and exposure of false solutions including groengineering were presented. The Tribunal is calling for a special hearing in Paris in 2015 to coincide with the upcoming UN COP 21 summit. The Tribunal also considers it necessary to express to the UN its concern about a scenario that includes the use of high-risk energy. Also, the government of Queensland, Australia was convicted for violating the rights of the nature of the Great Barrier Reef. Oil exploitation in the Yasuni was also convicted through the ratification of the two previous judgments, and the popular initiative promoted by the group of Yasunidos was supported. The Tribunal also condemned the constant persecution of this group. Another case that was judged was the mining project in the Cordillera del Condor. The Tribunal determined that it is essential to suspend mining, compensate those affected; and urged the State to investigate and punish those responsible for the death of José Tendentza. In commemoration of this social activist, the Tribunal held in Lima will bear his name. 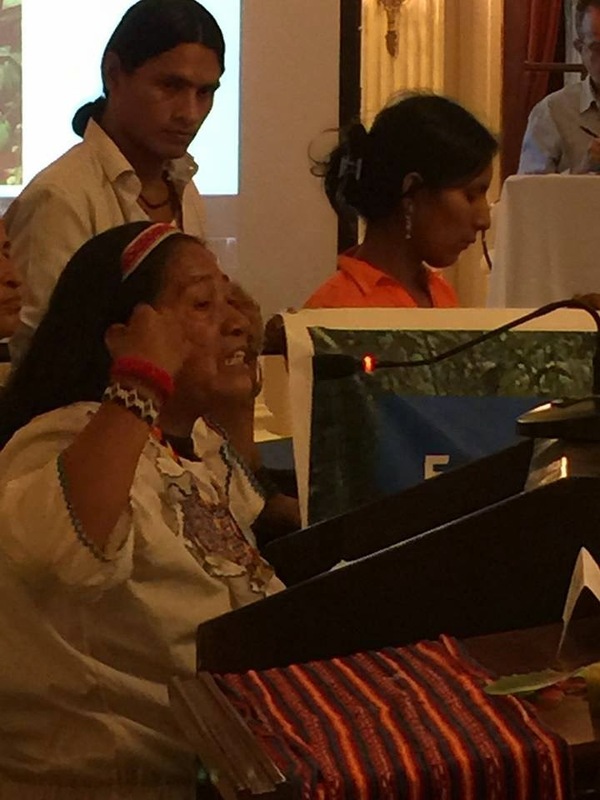 On Saturday, the Tribunal opened a hearing on the case of Bagua, of which five years after it started, 52 indigenous leaders have cases filed against them. 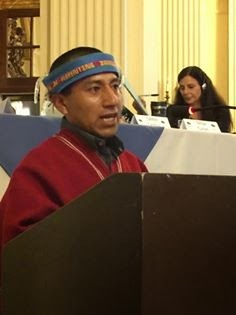 Ismael Vega, anthropologist from the Centro Amazónico de Antropología y Ampliación Práctica (CAAAP) called the ‘Baguazo’ an “emblematic case”, because according to the expert, since this case could happen again if existing policies and conditions are not modified. “Bagua makes visible the mismatch between the indigenous population and the state. This lack of dialogue still exists” sentenced Vega. Miguel Jugo, from the National Coordinator of Human Rights, mentioned the context that motivated the protests. The “Law of the Jungle” refers to the application of ten legislative norms and laws under the context of the Free Trade Agreement (FTA) between Peru and the USA, laws that dealt with the lives of indigenous peoples. As a result, in 2008 began the protests of the Amazonian indigenous peoples, which were confronted by government forces. Jugo alleged irregularities surrounding the trial of the indigenous people, “the judgment is contrary to the Convention 169 of the International Labor Organization (ILO) and the preliminary investigation was even conducted without translators”. Jugo added, “There is no evidence against the 52 processed people”. From Bolivia, plans to develop large-scale hydraulic fracking on their soil were also reported. In recent years the country has increased the production and export of natural gas; during the years 2000-2012 it increased by 382.6%. However, it exports 82.4% of its production. Also, the export of this hydrocarbon generates more than six billion dollars a year, as reported by the specialist Martin Vilela, Platform Climate Reaction. Bolivia has 8.23 trillion cubic feet of gas, and YPFB plans to invest 40,670 million between 2013 and 2015. Vilela explained that in 2013 this corporation signed an agreement for fracking in the Chaco area, a region with water scarcity. If it starts, the extraction of 48 trillion cubic feet of shale gas would consume between 112 and 335 billion liters of water. The Tribunal heard two related cases, one on climate change and its false solutions and one on the mechanisms for Reducing Emissions from Deforestation and Forest Degradation (REDD +). In the case of climate change, the case of contamination and temperature rise affecting Nigeria was exposed. The African continent has oil fields and pipelines that have caused a deep environmental degradation, deforestation, and countless oil spills, among others. This deplorable living conditions have caused life expectancy in this area is 44 years. Added to this, the ravages of climate change may have catastrophic consequences. Activist Nnimmo Bassey says: “For every degree the temperature rises globally, in Africa, it will increase an additional 50%”. In 2012 floods in Nigeria led to the relocation of 6 million inhabitants. The activist says that in 2030 Africa violent conflicts will increase by 54% due to the lack of access to natural resources. At the hearing against false solutions, geoengineering techniques that seek to manipulate climate without changing the conditions that cause climate change were reported. The Great Barrier Reef is the world’s largest coral system. It is the largest structure made by living organisms and can be seen from space. It was listed as a World Heritage site in 1981 by UNESCO, and UNESCO’s World Heritage Committee warned the Australian Government in 2012 that this unique natural system is being threatened by escalating industrial developments, including the expansion of ports for exporting coal. Dr Erin Fitz-Henry, from the Australian Earth Laws Alliance, condemned the violation of rights of the Great Barrier Reef, and stressed the great biodiversity that could be destroyed: “This reef is composed of more than 600 types of coral and thousands of species of marine life. The Tribunal issued a final judgment in this case. Since 2013, the Ecuadorian government allowed oil drilling in Yasuni National Park, one of the most biodiverse areas in the world, home to 2 indigenous nationalities in voluntary isolation. The fact provoked a group of young (Yasunidos) to join and protest and claim for the rights of nature which are guaranteed in the Constitution of Ecuador. Yasunidos collected more than 800,000 signatures to call for a referendum about oil exploitation in the Yasuni; but the request was rejected because the electoral institutions invalidated fraudulently more than 60% of the signatures. For all of these events, Yasunidos has sued the Ecuadorian government, led by President Rafael Correa, before the Inter-American Commission on Human Rights (CIDH) and are awaiting for their complaint to reach the Tribunal. We are in a historic moment wherein world leaders will continue drafting a new global treaty agreement on climate change this year in Lima at the United Nations Framework Convention on Climate Change (UNFCCC) Conference on Parties (COP). The final agreement is then expected to be signed in 2015 at the COP 21 in Paris. Having the voices of our Indigenous communities at this global meeting on climate is critical, and we need your help getting there. A long tradition of steal the land and plunder the gold still defines and drives dominant and dominating cultures as they continue to expand their hold worldwide. Thank you and more power to the indigenous nations who are speaking out in Peru. To secure the right to participate fully in the courts and agencies of those dominant cultures is an important step toward preserving the good health of the water, land and air for all of us, knowing full well that the fruit of our efforts will take far more than discussions or rulings regarding rights and responsibilities, demanding instead a whole new way of addressing life and living together in the world, globally and locally.